Working with leading manufacturers of boilers across the UK, we are an approved installer for Worcester Bosch, Baxi, Glow-worm and Vaillant to name a few. Our professional in-house team of engineers will ensure all installations run smoothly, whether it is replacing an old system or working within a new home. What’s more, we are a recommended Energy Efficient approved installer. If you have already had a boiler installed, we are licensed to complete in-guarantee repairs and maintenance. What’s more, we are on hand to help in the event of an emergency, ensuring your home doesn’t go without hot water and heating. Our experienced team will help you review which system will best meet your requirements. We will ensure that all boilers, cylinders and radiators are professionally sized – ensuring that each appliance is capable of heating the property in hand. What’s more, when you are decided on a system, we will also explore the best heating and boiler controls to suit your lifestyle. 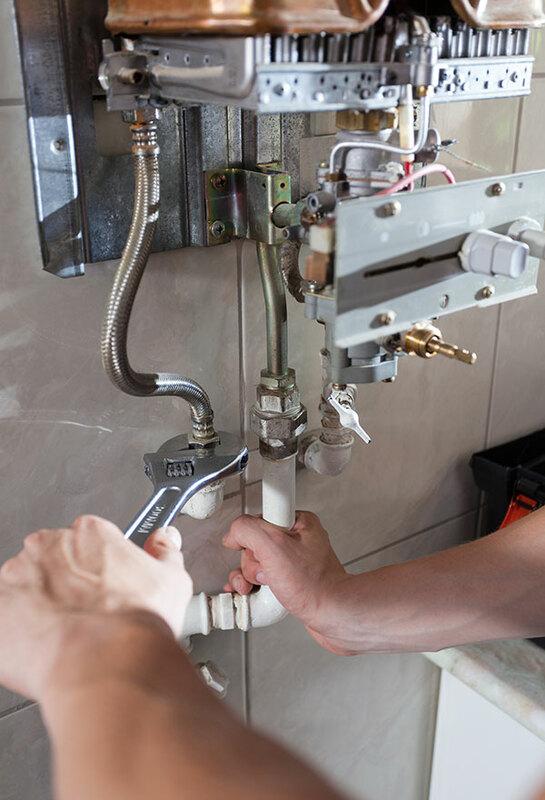 Our in-house team is made up of central heating and plumbing experts, capable of seeing each appliance and system through from installation to maintenance. We are familiar with all types of heating installations, including high pressure hot waste systems, power shower installations and high efficiency systems. DOES YOUR CENTRAL HEATING NEED CHECKING?